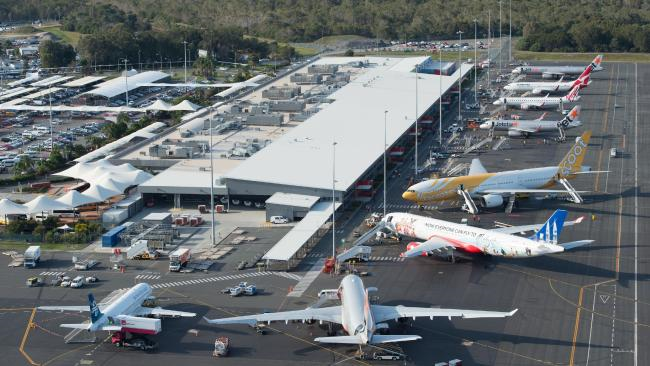 A $1.54-billion light rail extension will run to the Gold Coast Airport by March 2020. The incumbent mayor this morning promised a $600,000 feasibility study into light rail stage III. According to the mayor, the preferred route would run from Broadbeach where stage I terminates, down the coastline to Gold Coast Airport. 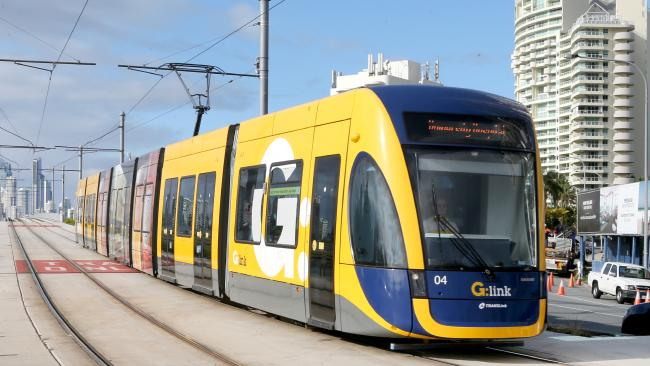 Mayor Tom Tate has promised a $600,000 study into the light rail’s stage III. He said council’s financial contribution would likely be around $160 million, with the rest funded by the state and federal governments as has been done with both stage I and II. However, he said, other spur lines, including west to Robina, would be considered after stage III was realised. The promise was made this morning at the airport alongside Gold Coast Tourism boss Martin Winter. The light rail could be at the airport by 2020. 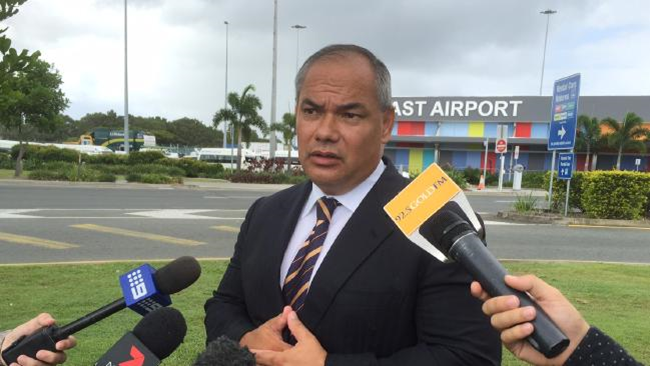 Cr Tate said public consultation performed earlier this year showed “overwhelming” support for an airport connection. “We had nearly 5000 submissions from locals through our consultation when we walked what their preferred route was,” he said. “It will complete a public transport spine for the Gold Coast and bring benefits, residents and visitors to our great city. “I expect that delivering stage III of light rail to the airport will bring at least 5000 more jobs and bring in $3 billion in investment. Construction of stage II of the light rail is expected to begin next month. Figures released this morning revealed that in 2015 the Gold Coast welcomed an additional 225,000 visitors from across Australia showing the Gold Coast is riding a new wave of tourism success. Domestic and international visitor expenditure on the Gold Coast reached more than $4.9 billion in 2015, representing a 6% increase on 2014. In 2015, there were 3.7 million overnight visitors to the Gold Coast and 8.2 million daytrips to the Gold Coast. “The city is in a period of physical and cultural transformation, driven by significant tourism investment and a vibrant new generation keen to embrace and share the city’s iconic coastal lifestyle and playful image,” Martin added. When asked what makes the Gold Coast so appealing, Martin said “it’s our lifestyle that continues to draw visitors from across Australia and indeed the world. In addition to our well established attractions, today, you can go stand up paddle boarding or join a yoga class on the beach, grab a great coffee from a funky café and be at your desk by 9am. There aren’t too many cities in Australia where that’s possible. “I think return visitors to the Gold Coast are also surprised by the dining offering on the Gold Coast. Having recently won some of Australia’s most respected food and wine awards, Gold Coast restaurateurs continue to emerge as a constant favourite among travellers and food critics alike, creating an impressive and evolving food scene right here in South East Queensland. “While we’ve seen significant growth in international visitors, the Australian market remains a critical ingredient for the continued success of our industry,” he said. In 2015, the Gold Coast welcomed more overnight visitors from core capital city markets of Brisbane (+7%), Sydney (+10%) and Melbourne (+4%). Domestic visitor figures are provided by Tourism Research Australia’s National Visitor Survey. 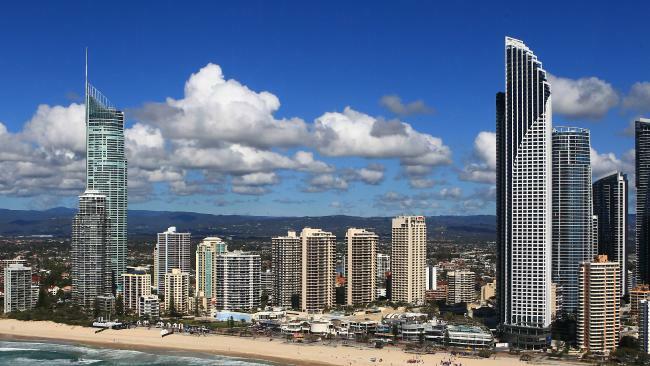 THE Gold Coast will double in size over the next 35 years — and it must not be left behind. Leading demographer Bernard Salt revealed yesterday that the Coast was the only “comparably scaled” city to be able to make this claim. “The Australian economy, like other developed economies, is developing into a knowledge economy. Mr Salt said the city would continue to undergo world-class development. “The Coast will develop next generation leisure and lifestyle facilities in casinos, in the cruise ship terminal, in theme parks and in shopping centres but the Coast must aspire to achieve even more,” Mr Salt said. “We are looking for a transformative evolution of the city where existing strengths in the healthcare and education sectors are cultivated. “We want to see not just world class medical, surgical and educational facilities, we want to see further world-class schools, laboratories and centres of excellence in technology. “The most engaged workers of the mid-21st Century will be knowledge workers. 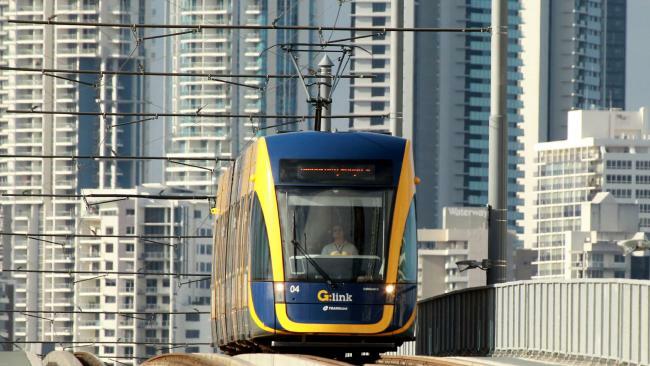 GOLD Coast property experts have urged prospective buyers to follow the light rail track for massive gains. It comes after the Gold Coast Bulletin revealed this week how average Joes were cleaning up in the Southport property market as developers squabbled over land in the Priority Development Area — with some owners doubling their investment in four years. Fox Realty principal Mick Flynn, who predominantly sells in Southport, said property along the light rail track was work up to $80,000 more since the line was built in 2014. He said clever buyers should watch where the light rail stage two is being built and poach any houses overlooking the line. “If you watch the data, property values have already risen between $50,000 and $80,000 next to the light rail track in just two years,” he said. “That’s a pretty massive gain and if you wanted to make some money you would look to replicate those results by looking at property which will benefit from future infrastructure. 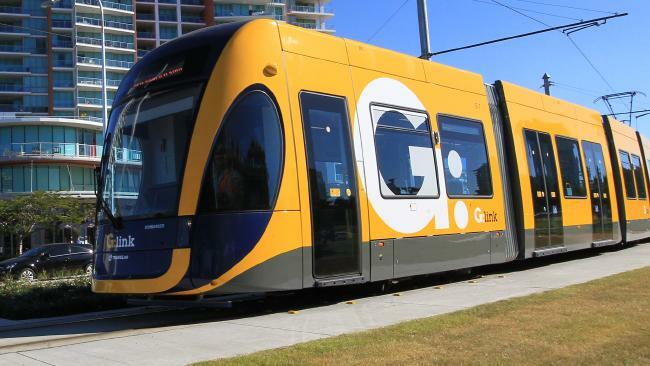 REIQ Gold Coast Zone chair John Newlands said mid-range properties on the northern corridor would be in high demand when the light rail’s extension is finished. “The light rail is connecting suburbs and any property around it will be worth a lot more,” he said. “It is important to factor in a range of facts when looking to buy and that includes future infrastructure.